Derick performs solo as a "One Man Jam Band" by using an audio sampler to record loop tracks ("Live") on his guitar, bass, percussion, and vocals to make the sound of a full band. ----- This "One Man Jam Band" has opened up for acts like Gov't Mule, Ekoostik Hookah, Future Rock, and Zac Deputy. He has performed along side acts such as Michael Franti, Keller Williams, The Wailers, Dark Star Orchestra, Arrested Development, and has performed at festivals including Hyperion, Wuhnurth, Springfest, Hoodilidoo, Indiana Jam Bash, Greenstock, River City Rock and Roll Festival, Terrapin Hill Harvest Festival, Hookahnanny, and Hookahville which he has performed at three times now. 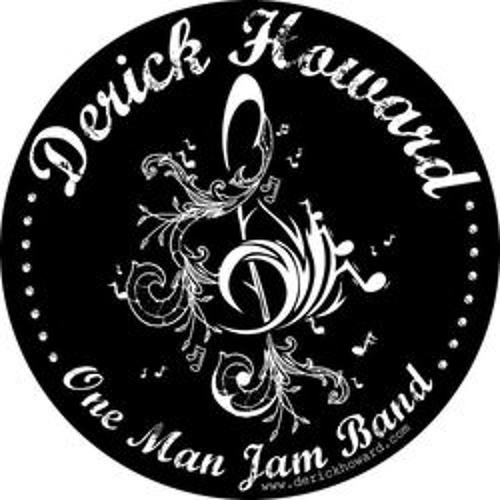 -------- Derick has performed at all types of events and venues besides bars and festivals. From coffee/ice cream shops and Cafe's to Restaurants like Apple Bee's, Texas Roadhouse, Max & Erma's, and the Jimmy Buffet chain Cheeseburger In Paradise. As well as events like Weddings and Anniversary's to Private Party's and Hog Roasts. Derick has also done many benefits such as The Relay For Life, The MS Walk, and local community fundraisers. ----- Although Derick performs mainly around the central and southern Indiana area, he has performed as far east as Miami, FL. and Myrtle Beach, SC. and as far west as Hermosa Beach California.